Grossberg 0358, originally uploaded by harmonweddings.com. The Now Sapphire Resort in Cancun had some wonderfully beautiful landscaping with rooms spaced throughout the natural plantlife along the beach in Cancun, Mexico. 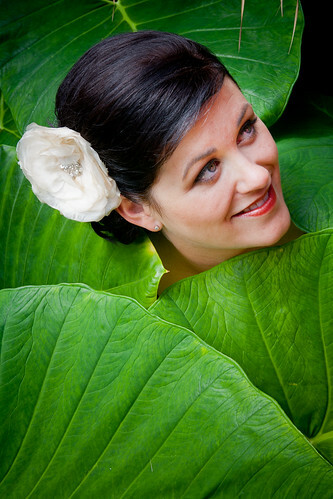 I had Erica stop for a minute or two to photograph her amongst the Elephant Ear plants, or Colocasia, that filled the gaps in foliage throughout the resort.